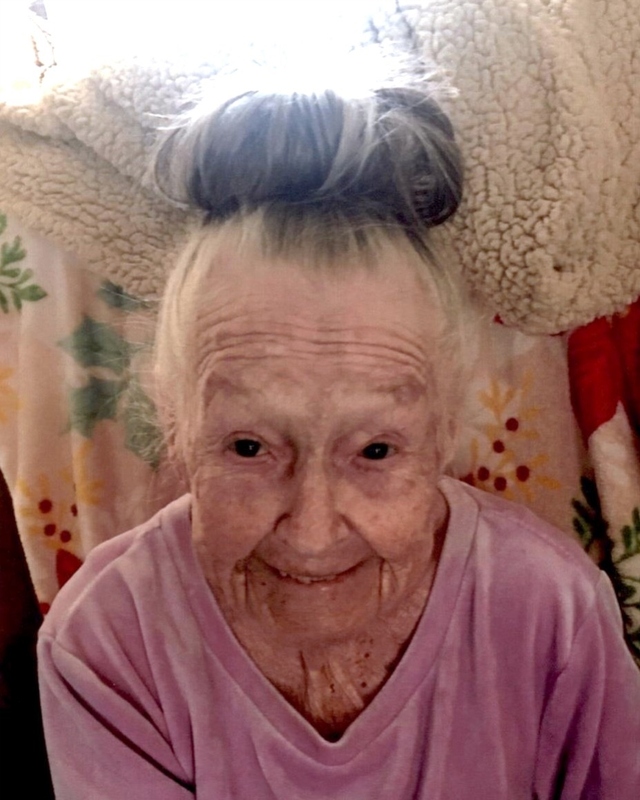 Juanita Thelma Tabor, 93 of Wilder, passed away peacefully on Wednesday, January 30, 2019. Private graveside services will be held at the Wilder Cemetery under the care of Dakan Funeral Chapel, Caldwell. Juanita was born January 31, 1925 to Virgil and Goldie Upshaw in a house in Dora, Missouri. Her family moved to numerous places and finally settled in Wilder, Idaho. She met Joe Tabor when he was arriving on a train to that area. They married on August 19, 1944 and were blessed with 67 years of marriage together. Mom was a member of the Rebekka Lodge. She enjoyed their get togethers and was always asked to cook and bring one of her wonderful dishes. She and Dad enjoyed visiting Missouri, attending blue grass festivals, and frequent trips to Jackpot. Juanita was an avid gardener, her vegetable and rose gardens were her pride and joy. Even though her mind and body were failing, Juanita’s thoughts were always on her children, Joe Jr, Jerry (Stephanie), John (Cindy), Jeanette, and James; her grandchildren, Brad (Cali), Chad, Brandon, Brooke (Mark), Brock (Katie), and Brandt (Bekki); and her great-grandchildren, Colton, Weston, Tyler, Cody and Brooklynn. Juanita was preceded in death by her loving husband Joe Sr., her sons Joe Jr. and James, her sister Louise, and her parents. Her family would like to thank Canyon Hospice for all the loving care and support we received during this difficult journey. Your earthly walk is over but we have comfort in knowing your heavenly reunion has only begun. Till we meet again, love you Momma.